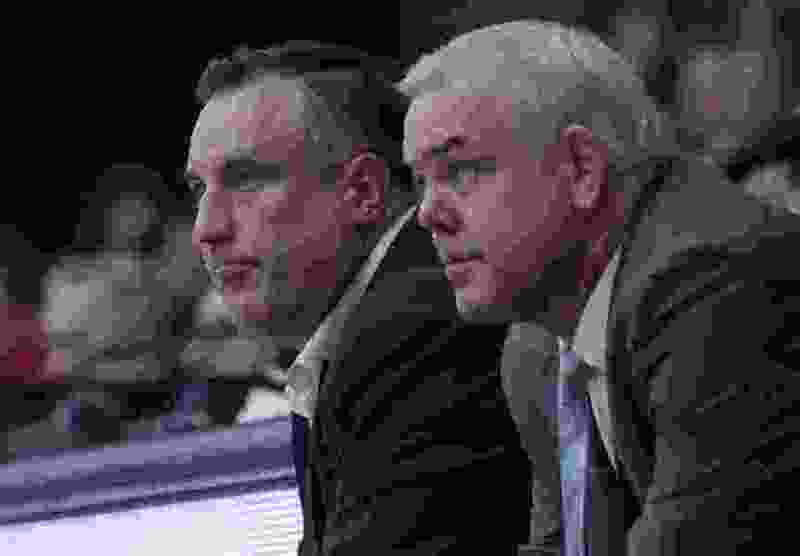 Provo • Fears that BYU basketball coach Dave Rose would step down when his contract expires after the 2019-20 basketball season are apparently unfounded. BYU athletic director Tom Holmoe announced Tuesday that Rose has signed a one-year extension that will take him through the 2020-21 season. Terms of the agreement were not revealed because BYU is a private institution and not subject to open records laws. Rose begins his 14th season at the helm Tuesday night when the Cougars take on No. 7 Nevada in Reno. He had agreed to a five-year contract on Feb. 9, 2015 that would have taken him through next season. Rose enters the 2018-19 season with a 329-122 overall record, the second-most wins in program history behind Hall of Fame coach Stan Watts. Rose’s win percentage of 72.9 is the best in BYU history and seventh among active NCAA Division I head coaches. Asked about his future at the West Coast Conference media event last month in Las Vegas, Rose told The Salt Lake Tribune that he has thought about retiring but cannot see himself doing anything else. He turns 61 next month. “It is funny because I can’t see myself not doing this, because it is what I’ve always done,” he said. “I think anybody, when they reach 60, thinks about it. I think we can all admit the fact that I’ve probably coached more games in my life than I am going to coach. Rose said recent scans for cancer in April and September were clear and his health is fine. He was diagnosed with a cancerous tumor on his pancreas in 2009. “Things are great. Usually there is some type of a scan. I got a scan in April and one in September. “April one was great and the September one was even better, so right now things are really good. Just the challenge that I deal with is I kinda I live my life six months at a time. Right now, these next six months are going to be great,” he said on Oct. 18. Holmoe said Rose will be remembered as one of the best coaches in school history. “Dave has brought us a high level of competitive basketball for 13 years,” Holmoe said. “His consistency and stability are two qualities that have been mainstays of the program. We look forward to continued success and we are excited about this coming season. Rose succeeded Steve Cleveland in 2015 and has led BYU to 13-straight seasons with 20-plus wins, eight NCAA tournament appearances and five NIT appearances.